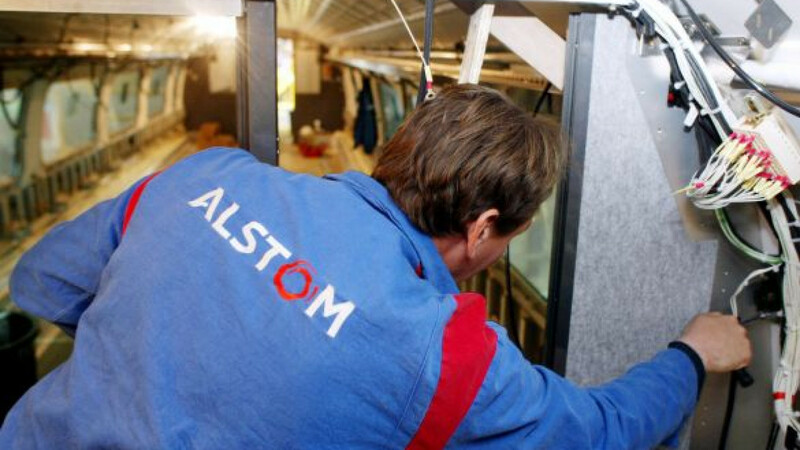 Alstom, a French maker of power-generation and grid equipment, signed an agreement with RusHydro, the country’s biggest renewable energy company, to upgrade nine dams on the Kuban River, French Prime Minister Francois Fillon said. The “significant” deal will be concluded during Fillon’s two-day trip to Russia that began Thursday, the prime minister said in an interview in Rossiiskaya Gazeta, the government’s newspaper of record. Alstom and RusHydro also signed an agreement on production of hydroelectric equipment in Bashkiria, the French company said in a statement distributed to reporters Thursday. The company reached an agreement to upgrade power stations belonging to Mosenergo, as well. Alstom’s Russian joint venture, Alstom-Atomenergomash, agreed with Rosatom to produce nuclear turbines. In the field of electricity transmission, Alstom Grid and FSK, the federal operator of Russia’s unified electrical grid system, signed an agreement to establish an Alstom Grid — FSK research cooperation in the Skolkovo technology zone of Moscow, focusing on a variety of tasks intended to increase the efficiency, reliability and security of the electrical grids. This builds on an earlier industrial and technology cooperation agreement for the modernization of the Russian electrical grid through improved local production and the introduction of advanced “Smart Grid” technologies. The French prime minister’s visit brought several other announcements of deals in Russia.